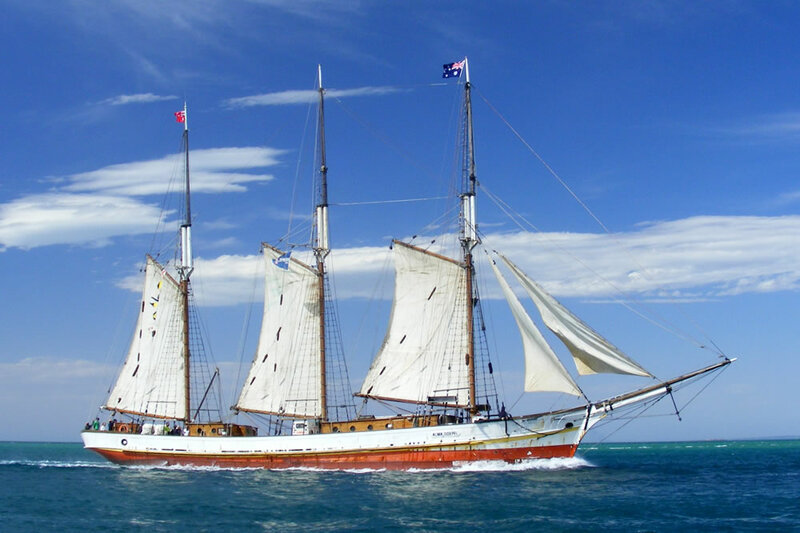 The Alma Doepel is a three masted topsail schooner, Australian built and operated, with more than a hundred years of history behind her, and with more history yet to be written. The Alma Doepel Supporter's Club (ADSC) was founded in 1976 "to provide both physical and monetary assistance to the ship's restoration". This involved a great many Victorian people who gladly gave countless thousands of hours to their "labour of love", their Alma.When the ship went into the service of youth sail training this valuable support continued in the form of maintenance working bees and as volunteer crew supporting the youth voyages.